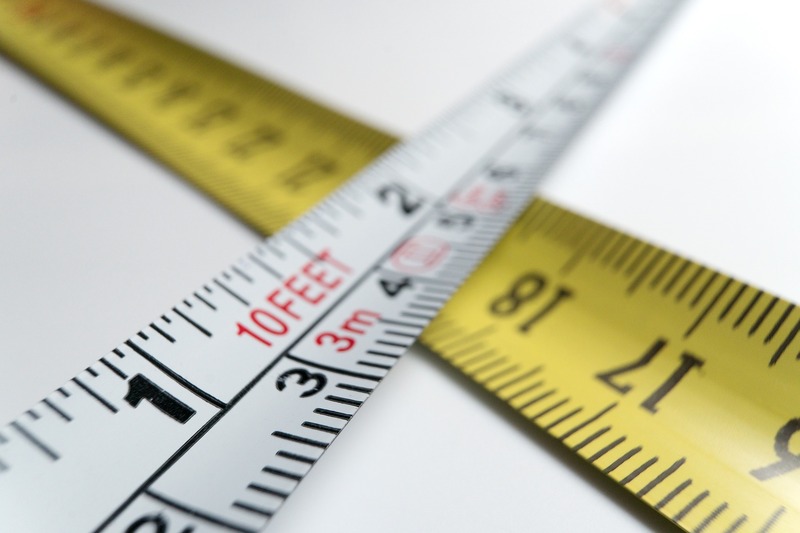 Imperial vs. metric: Length in the United States is still primarily measured using inches and feet – inches add up to feet add up to yards add up to miles. These are called Imperial units. The vastly more common way on the planet of measuring distance is by using the metric system – millimeters add up to centimeters add up to meters add up to kilometers. The challenge of inches and feet: One of the challenges with inches and feet is that they can be difficult to add. Can you quickly add 3-3/8” to 4-5/16”? Probably not. The same challenge can be said of elevations in the field. Can you stand at an elevation of 723.53, measure a height of 6’-7 5/8” with your tape, and then convert that height quickly to a decimal elevation above where you’re standing? Maybe, maybe not. A lost art of mental conversion? Sitting here writing this I am wondering if perhaps I’m explaining a lost and forgotten art. 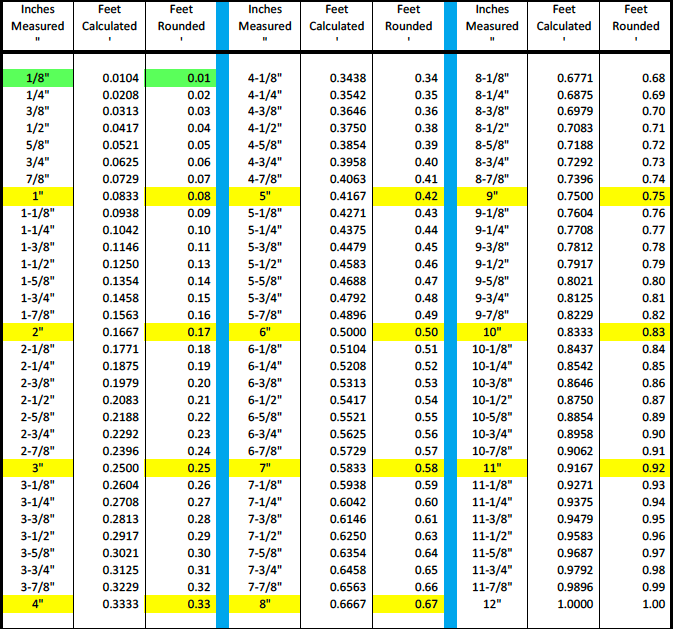 That art being the conversion of measurements from inches to feet in decimals. It’s too easy to use your phone to do the math, heck, there’s likely an app to do it for you. But, us old school guys can still do it in our heads (we’re also the same generation that can still do long division and write in cursive). This process is not tough, but it requires practice. If you learn it, it will serve you well in your construction career. Use this handy chart to help you get started! Here are some other tools that may help you when reading plans, prints, and charts.